“Prohibition was The Big Failure,” said Bourbon Historian Michael Veach last night at The Filson Historical Society’s annual Repeal Day Party. This year’s soiree was held at Kentucky Peerless Distillery on 10th Street in Louisville, a fitting location since the original Peerless in Hendersonville was put out of business by Prohibition. The whiskey lineup was, as with all Filson events, impressive. On the table already when guests arrived were Woodford Reserve Double Oaked and Michter’s Rye. As the tasting and the history lesson progressed, pre-Prohibition era whiskeys from the Filson’s collection were brought out for guests to sample. The first was Old Crow which had been distilled in 1908 and bottled in 1925. As with many extremely old dusties, the nose took a while to open up. As it sat in the glass both the nose and the flavor of this 17 year old bourbon changed in wonderful ways. The second old dusty of the evening was a rye whiskey bottled in the 1880s by Paul Jones, the founder of the Four Roses brand. Though it was a rectified product, once it sat and opened up a little it became quite complex. After the tasting Corky and Carson Taylor took guests on a tour of the distillery. The tour included plenty of Prohibition-relevant family history such as the connection between Kentucky Peerless and the founding of Vendome Copper and Brass Works. 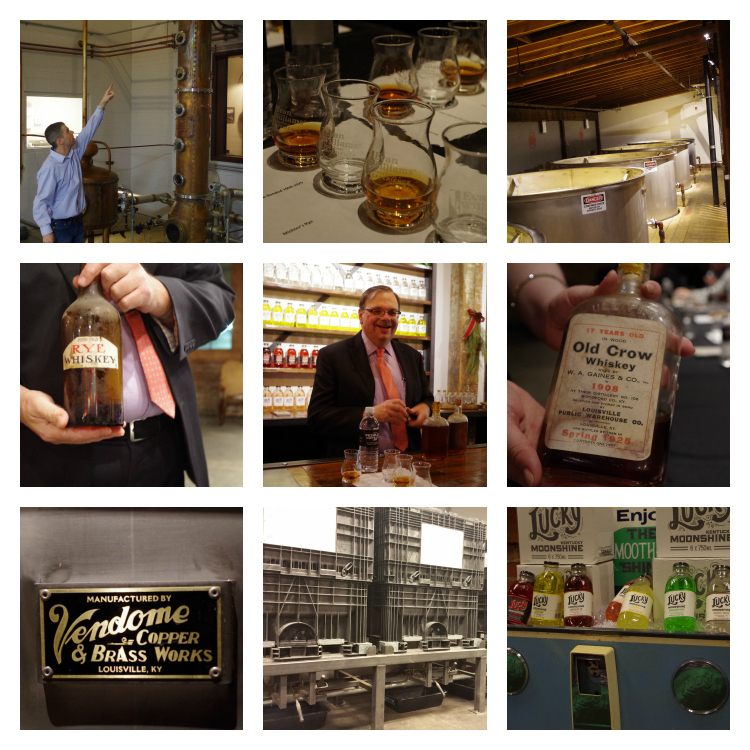 Guests learned all about the grain-to-bottle distillery and saw the inner-workings of the whiskey making process. The first rye whiskey from Kentucky Peerless will be available in 18 months. Read more about Prohibition on Michael Veach’s blog.